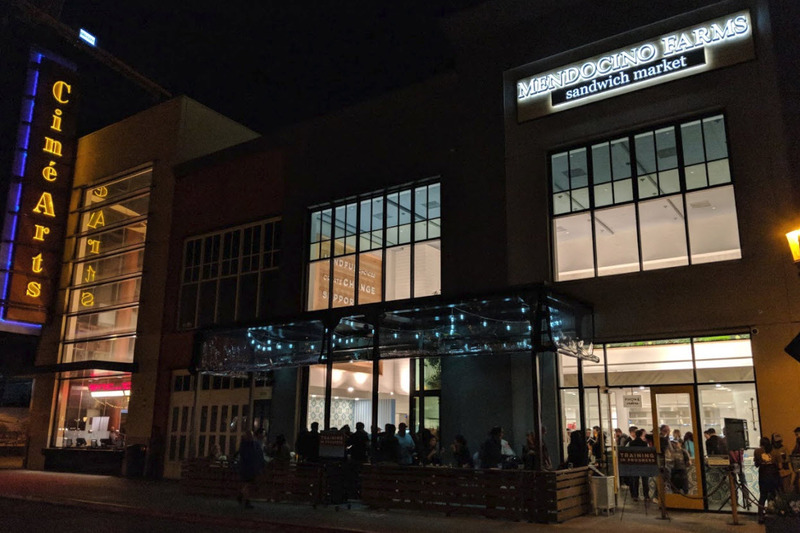 Last week I was fortunate enough to attend a media preview for the newest Mendocino Farms restaurant, which is conveniently located at the capstone end of Santana Row next to the CineArts Theater. This is only the second Northern Californian location of the extremely popular LA chain--the other being in the Pruneyard in Campbell. 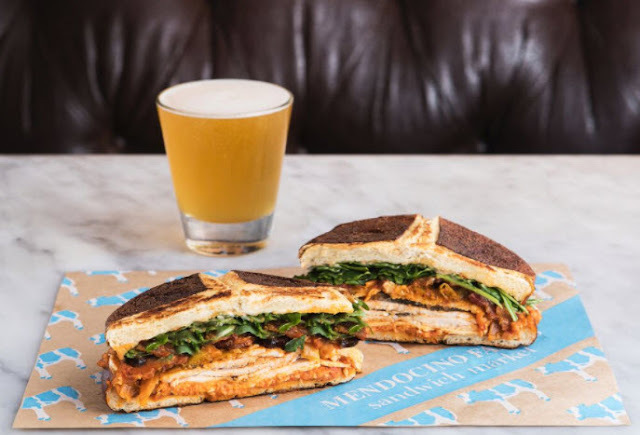 Mendocino Farms is tucked in a 2,822 SQFT space formerly occupied by Thea. That may not sound very large but the soaring 30-foot ceiling and outdoor patio make the space feel expansive. The vertical height is so impressive that they somehow manged to fit a full-sized living tree inside of the restaurant. 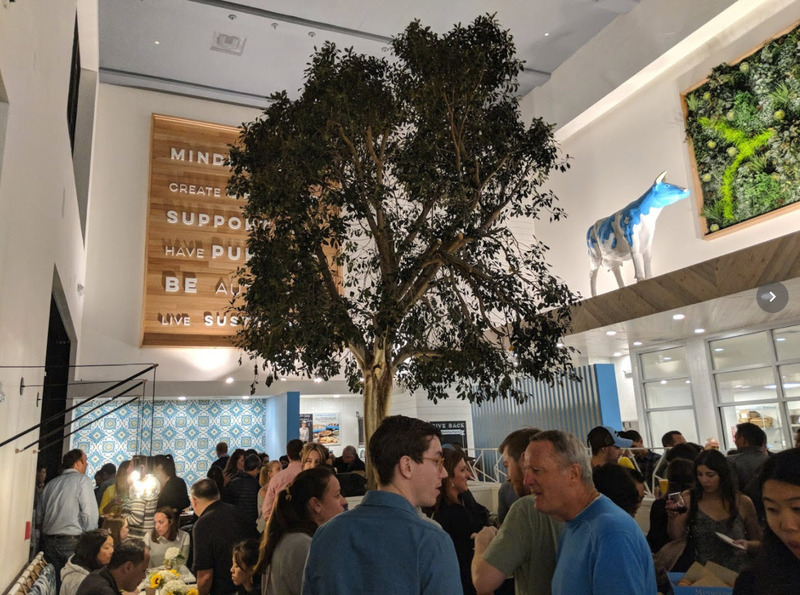 Also notable are the craft beers and local wines on the menu. Not often would you find that in a sandwich shop. However, based on what I sampled here this is one of the few places I have been to serving up sandwiches worthy enough to be accompanied by a glass of Napa wine. Their "Real Old-School Pastrami" is the flagship sandwich of the season. 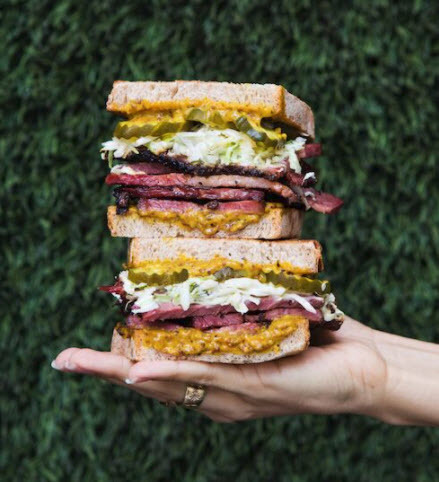 It comes with house hickory smoked pastrami, celery root slaw, butter pickles, and a delicious triple mustard spread. This was the single best Pastrami sandwich I have ever had in my life. Other popular items are the "Kurobuta Pork Belly Banh Mi," a premium take on the Vietnamese classic, and the "Not So Fried Mary's Chicken," which is a virtual fried chicken sandwich with roasted free range chicken breast topped with "krispies," herb aioli, mustard pickle slaw, and pickled red onions. 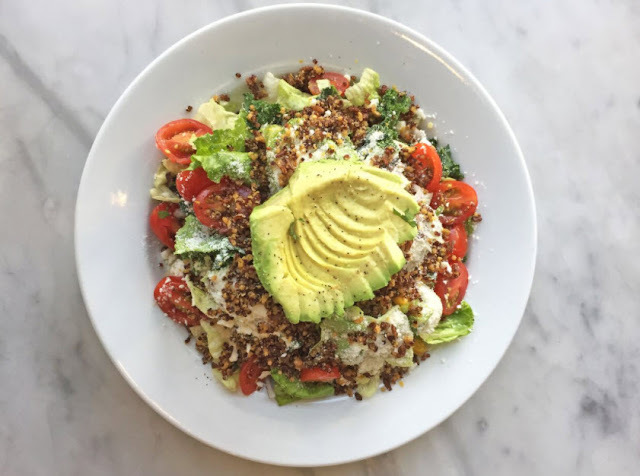 There is a healthy spin to many of the items on the menu. 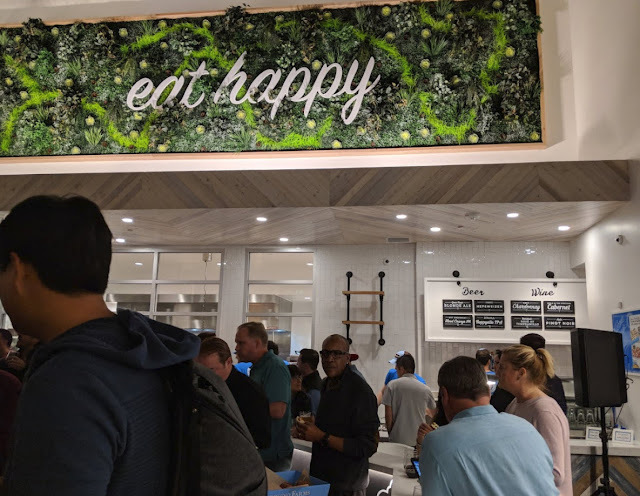 They even have an "Impossible Taco Salad" with a plant-based Impossible Burger meat for chorizo. Also on the menu are artisinal salads, soba noodles, cous-cous, and premium sodas. The prices are on par with what you would expect for Santana Row (not cheap). I can say you will get what you pay for in quality and you won't leave hungry. 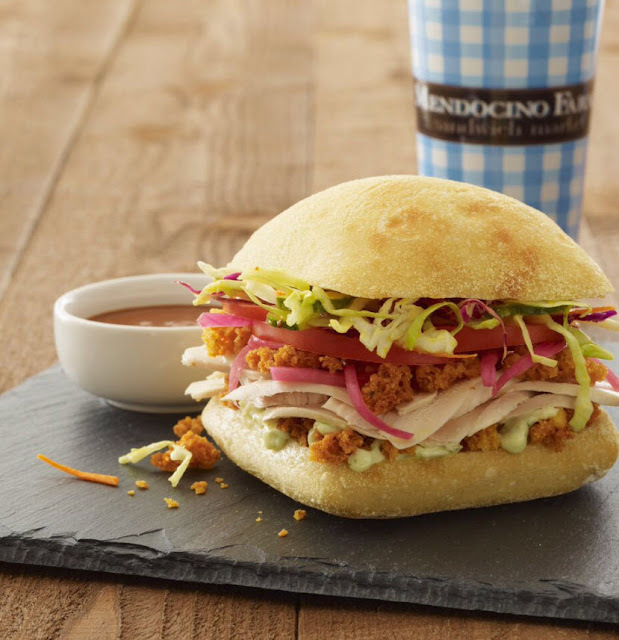 The official grand opening for Mendocino Farms is tomorrow and they are well worth checking out.